Ideal for small-medium manufacturing & engineering environments the 3 phase SteamForce 6 unit delivers an impressive 150 grams of steam per minute. 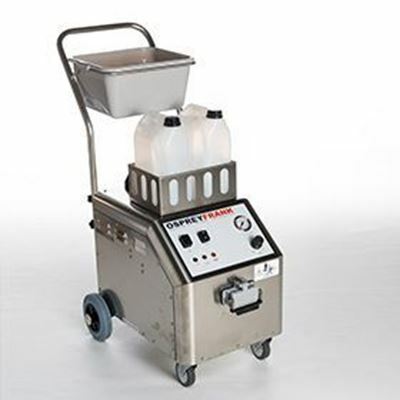 It features a continuous boiler refill and an industrial quality steam socket for the toughest cleaning challenges. The added benefit of a twin detergent facility is housed on the exterior of the machine for ease of change and there is accessory storage on the handle for easy and hygienic storing of tools and hose so they can be allowed to“air dry”. 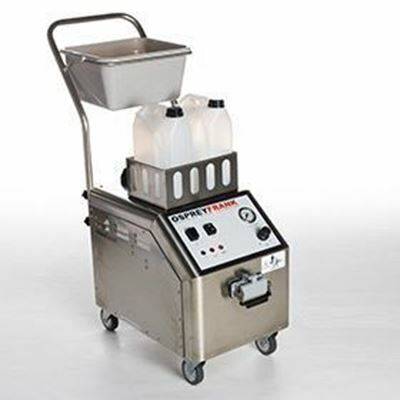 The SteamForce 6 can be upgraded with a vacuum kit for complete versatility. 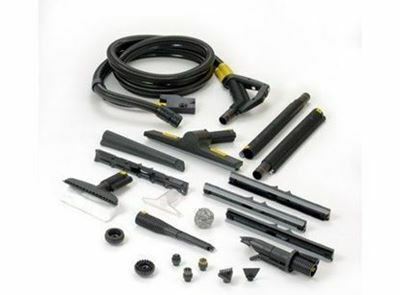 The industrial wet/dry vac unit is supplied complete with steam & vacuum accessories alongside the steam only accessories supplied with the machine as standard.